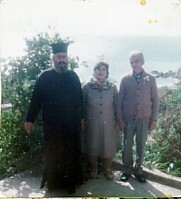 Above: My parents, Maria and Panagiotis- with my mother's brother, Vasilios (left). 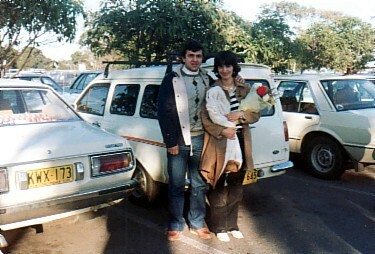 Above Right: With my fiance, Dimitrios Protogeros, on the day I arrived in Australia. 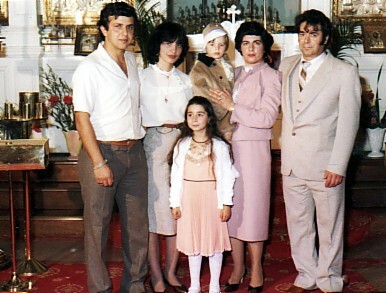 Above: With my husband, Dimitrios, and our koubari, the Loupos family- at the baptism of Ioannis Loupos. 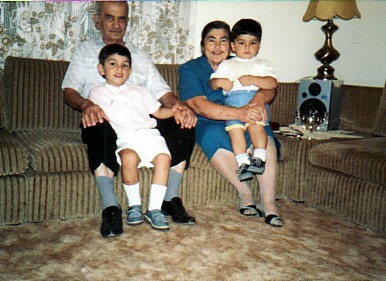 Above Right: My parents, Panagiotis and Maria- with our children, Nikolaos and Panagiotis. Above: With my husband, Dimitrios. 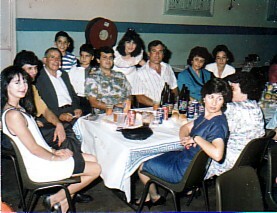 Above Right: The Protogeros family. 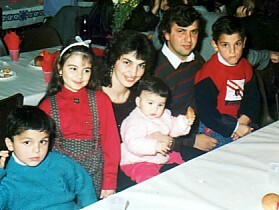 With my husband, Dimitrios, our children, Panagiotis, Zaharoula (who I am holding) and Nikolaos, and Rinoula Hatzidimitriou. Above: At a Paleohoritan Social Dance with realtives and friends. L-R: our koubari, Eleni and Nikolaos Andronikos; Sophocles Aboulos, our sons. 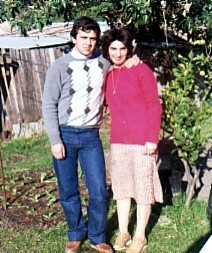 Nokolaos and Panagiotis; my husband, Dimitrios; myself; Theologos and Litsa Manolis, Despina Manolis and Persa Koutli.